Welcome fellow bloggers. I have decided to write a series of blogs which explore the various different ways in which you can use herbs to support your health and wellbeing. This week’s post will introduce you to infusions or tisanes. This is very similar to making a cup of tea. We are all aware of how we make our cuppa 🙂 tea leaves are brewed to make an infusion but we are lucky that they are conveniently bagged to ensure minimal mess and effort. When using herbal remedies it is common to think that they are completely safe. This isn’t always the case. Please ensure that you know the herbs that you are using. Please read up on them to check for any safety concerns which may be specific for you. This is especially true if you are taking medication from your GP/hospital. 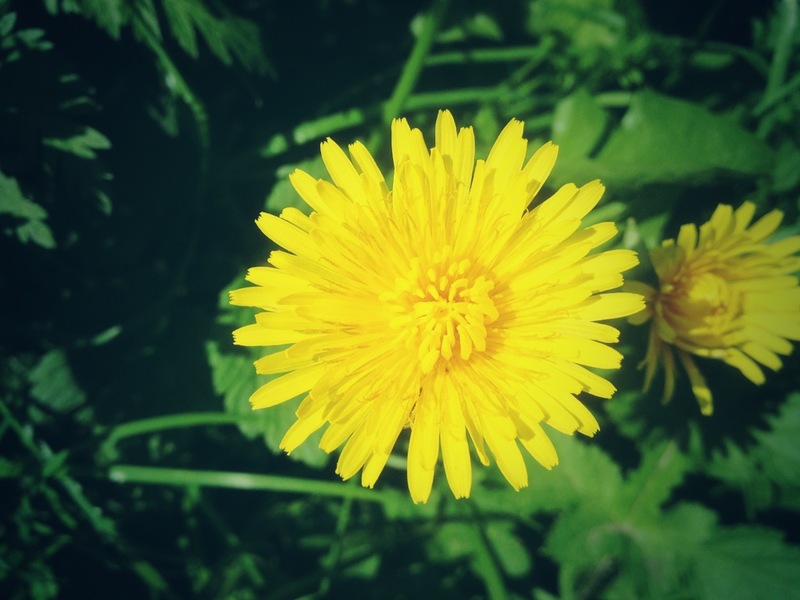 I love dandelion and would recommend it for most people but if a person is suffering from gallstones then it isn’t advisable for them to use the herb in medicinal doses. Safety is the key, you need to be able to correctly identify the herb that you are using and be aware of its effects and actions prior to using it. As a herbalist I have to stress the importance of safety – consult a qualified herbal practitioner such as myself if you are unsure about anything. We may not have deadly animals in the UK but we do have a vast array of poisonous or toxic plants. 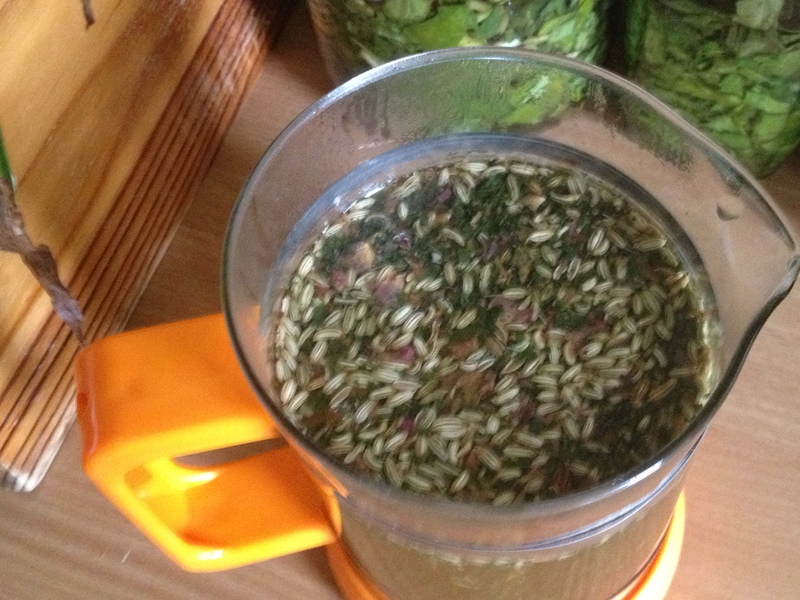 The usual standard dose for making herbal infusions is 25 grams of the dried herb to half a litre of water. 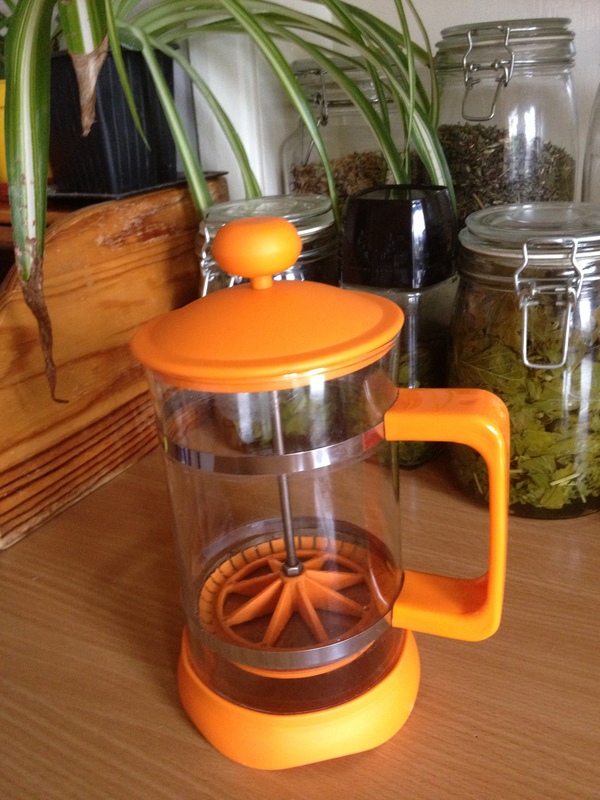 This is great if you are brewing on e up for more than one person or you do not mind drinking the infusion cold. 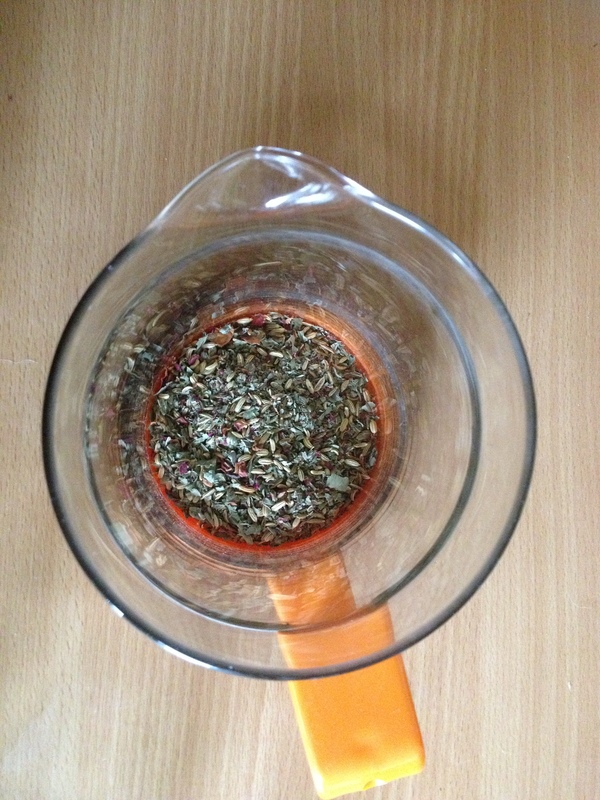 I prefer to drink my herbal tisanes hot so I use one teaspoon of dried herb per cup. If you are using fresh herbs (always wash them first) you will also have to triple to quantity of the herbs to take into account the extra water content within the herbs. Infusions are usually made using the leaf or the flower of a plant, many flowers are aromatic and you do not want to lose these aromatic constituents (volatile oils such as monoterpenes and sesquiterpenes give many herbs their aromatic smell such as rosemary, lavender, lemon balm, sage etc.) they are light enough to evaporate so it is recommended to use water that has recently boiled instead of pouring boiling water that has just boiled straight over them. The volatile oils are what you smell when you add herbs to cooking as the heat of the food has enabled them to evaporate. Essential oils are also made up by distilling the volatile oils out of the plant material. Volatile oils are able to pass the blood/brain barrier and can have a positive impact on our limbic system which is the seat of our emotions. They are also antiseptic and usually anti-inflammatory in nature therefore we do not want them all to escape from our herbal brew. You can use a cafeteria to make a herbal infusion. Whichever way you choose to make herbal infusions please don’t throw your used herbs in the bin, they can be placed in your composter (as can normal teabags). There are two ways that I prefer to make a herbal tea. I purchased a tea strainer (I have one in the shape of a house made out of metal and several shaped like musical notes made out of plastic). If I am just making one cup I like to use the tea strainer. 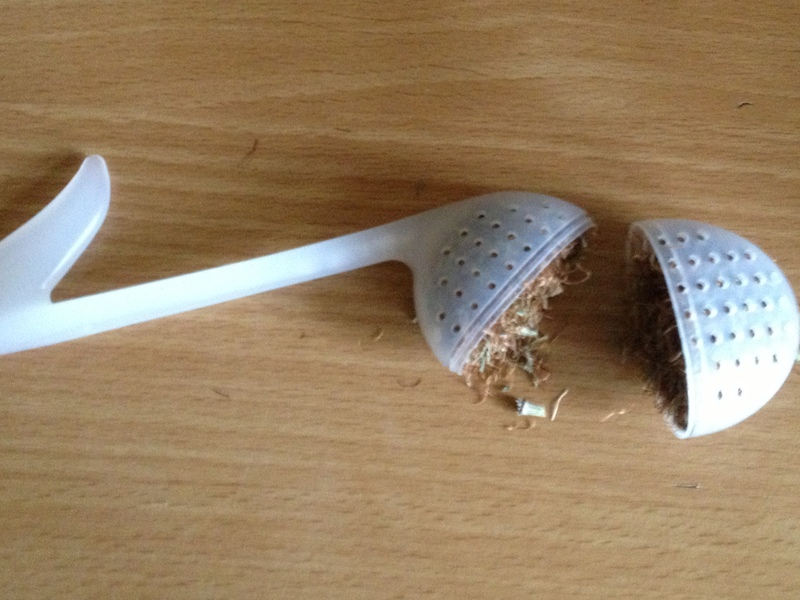 I place the loose herb inside the tea strainer and then use is like a spoon as it hooks onto the side of my cup/mug. If I fancy a couple of cups of herbal tea then I use a cafeteria to brew up my tisane as it isn’t very messy at all and is very quick to prepare. 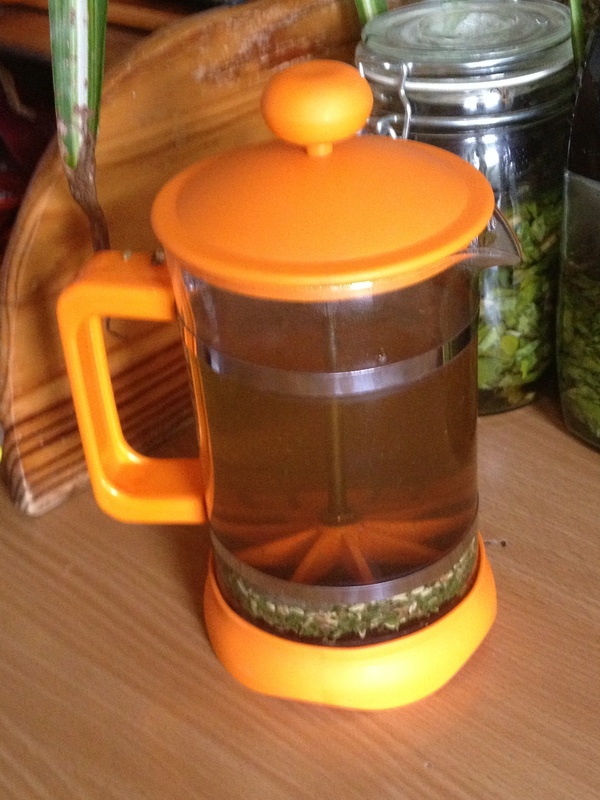 As a herbalist I am fully aware of the benefits of drinking herbal infusions. For instance whilst I was at university I was drinking a lot of….. (you thought I was going to say alcohol but I was already a mother when I went to university and had my daughter to look after lol)… coffee! You see I was going to say coffee. This was due to the demands that commuting to a different city, looking after my daughter, studying and attaining all of the academic deadlines did to me… I relied on coffee to get me going and keep me going – but this was detrimental to the health of my adrenals (if you have dark circles under your eyes you might be in a similar situation too – you can always book a consultation with me to support your health). Allow the herbs to infuse in the water for 5-10 minutes. I was drinking over eight cups of coffee a day which is excessive. The recommended daily amount is two to three. I blended up herbs to support me in cleansing my system. If you too drink lots of coffee or you have drunk lots of coffee you will be well aware of the caffeine withdrawals that we experience – physical symptoms include a pounding headache!! I blended up herbs and drank a cafeteria full each day and managed to cut back without experiencing the caffeine withdrawals. Two to three cups of herbal infusion are the usual dose I recommend to my patients if they are having herbal teas to support their health and wellbeing. It is a dose which is tried and tested. Infusions can be stored for up to 24 hours, if you haven’t drank them in this time they can be watered down to feed your plants (indoor or outdoor). You can add the infusion to the bath or use it as a hair rinse after shampooing. You can use them as a gargle/mouth wash if you are experiencing gum disease/gingivitis. They can be made into a compress for external wounds, bumps, scrapes or bruises. They can even be splashed onto the skin as a lotion. But they should be discarded from internal consumption after a day. The only time that this doesn’t apply is when I make tinctures – I make alcohol preparations of herbs. I will discuss how you can make these in a future blog. 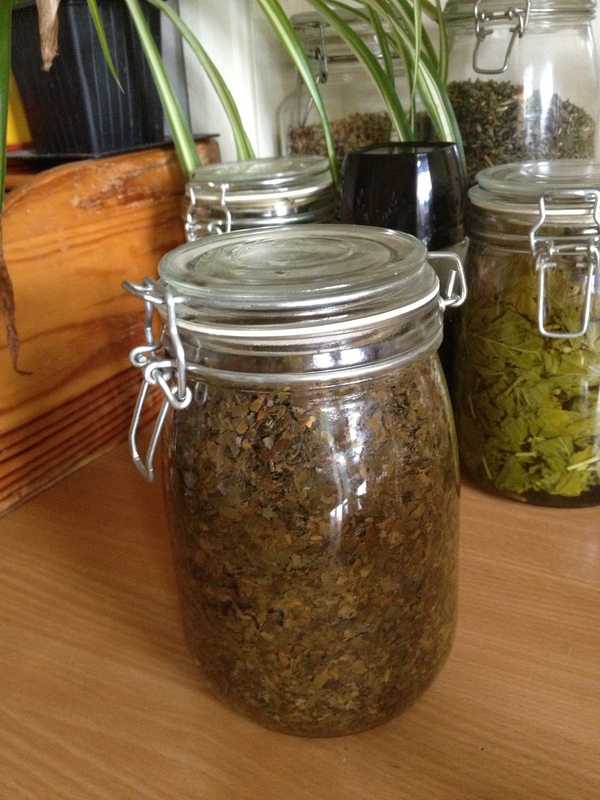 When I strain the herbs to get the tincture out some of the alcohol is trapped in the herb so I make a herbal infusion of the herbs which I have used to make a tincture – this extracts the alcohol and also the rest of the active constituents in the plant material giving me a tincture-tea. There is usually an ounce of alcohol left which then helps to preserve the infusion. 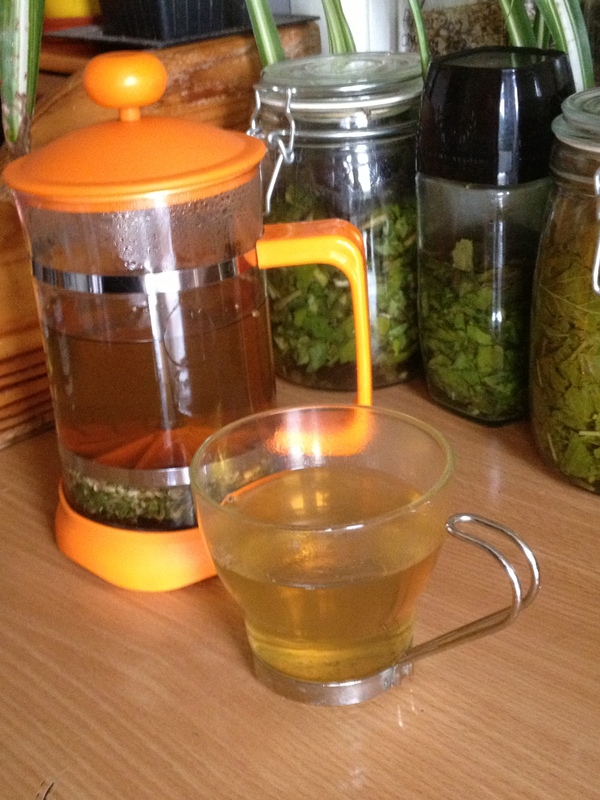 I then drink the tincture-tea when required to support my own health and wellbeing. Marigold (Calendula officinalis) is safe enough to use in pregnancy and breastfeeding. It is anti-inflammatory and an excellent wound healer helping to stop bleeding. An infusion would help support digestive issues, be used as a gargle for gum disease, or as a compress for burns, cuts and other wounds including leg ulcers, varicose veins and haemorrhoids. As a lymphatic this herb can support you if you have tonsillitis. The plant is easy to grow in our climate and you can pick it up from most garden centres and even supermarkets. You would use the flowers to make an infusion. 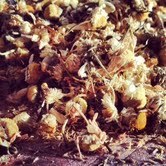 Chamomile (Matricaria recutita) is also safe to be used in pregnancy and breastfeeding. It is gentle enough to give to children who have an upset stomach and yet strong enough to calm down feelings of restlessness and anxiety. It can help with nervous diarrhoea, reduce wind and bloating and support women with painful or absent periods. Chickweed (Stellaria media) is a nuisance weed for many but its effects supporting eczema is amazing. It cools and soothes and can help with psoriasis too. It can be made into an infusion to support people who have rheumatic disorders. Cleavers (Galium aperine) has no known side effects and is an excellent spring tonic supporting lymphatic disorders and skin problems including psoriasis. This names just a few herbs which are safe enough for most people. There are people who can experience sensitivity to members of the asteraceae family. They would have to stop using herbs such as chamomile as it is a member of the asteraceae family. I look forward to introducing another method of using herbs next week. This entry was posted in Complementary and Alternative Medicine, Environment, grow your own, health, Health and Wellbeing, Herbal Medicine, herbal remedies, Herbalism, herbs, home remedies, how to, infusions, tisanes and tagged chamomile, chickweed, cleavers, cleethorpes, grimsby, herbal tea, herbalism, herbalist, home remedies, how to, infusions, marigold, tisanes by Herbs for Health and Wellbeing. Bookmark the permalink. Not a difficult topic as such but this is quite complex and confusing. I am glad that you have depicted it so nicely in your work here. Bonjour modérateur, je voudrais contribuer à ce sujet. Puis-je le faire? Je préfère poser que dans un autre forum que j’ai fait une belle contribution, mais le modérateur chosed à modérée it out. Salut à tous, toute contribution est plus que bienvenue – ce blog est un lieu pour les gens de se renseigner sur la phytothérapie. La phytothérapie a toujours été la médecine des peuples et je suis un croyant qui élève peut apprendre aux enseignants, tout autant que les enseignants peuvent enseigner aux élèves. Je suis heureux d’avoir une vie d’apprentissage sur les herbes 🙂 J’ai hâte d’entendre vos commentaires. Hi there, any contribution is more than welcome – this blog is a place for people to learn about herbal medicine. Herbal medicine has always been the peoples medicine and I am a believer that student’s can teach the teachers just as much as teachers can teach the students. I am happy to have a lifetime of learning about herbs 🙂 I look forward to your comments. Kijk uit naar het delen van je gemeenschap en leren van een aantal in het proces. Ben fatto spiegazione. Non ho potuto fare meglio di me stesso! Merci beaucoup. Vos commentaires sont très appréciés. Bedankt voor de positieve feedback, ik hoop dat ik je kan helpen op je ontdekkingsreis. It’s true that all the information that we get on net cannot be trusted always. But i believe what you say is more trsutworthy about the topic. Interesante artículo, le ruego que me des tu información de contacto, tengo que compartir con ustedes alguna información. Hola, se puede encontrar mis datos de contacto de mi página web: http://www, herbsforhealthandwellbeing.co.uk Muchas gracias por sus comentarios positivos, espero con interés escuchar de usted. I think youve made some truly interesting points. Not also many people would really think about this the way you just did. Im actually impressed that theres so a lot about this topic thats been uncovered and you did it so well, with so very much class. Good 1 you, man! Definitely fantastic things right here. Hola, me gusta este artículo. Necesito un profesor particular que me pueda ayudar con una de mis tareas escolares sobre este tema. alguien que por favor disponibles? ¿Me puede aclarar que está buscando un profesor para aprender acerca de la medicina a base de hierbas? Estoy seguro de que hay organizaciones que se puede dirigir y espero herbolarios que puedes apprenticeship con. Can I please clarify that you are looking for a tutor to learn about herbal medicine? I’m sure that there are organisations which you can contact and hopefully herbalists who you can apprenticeship with. I do agree with all the concepts you’ve presented in your post. They are very convincing and can certainly work. Still, the posts are too brief for beginners. May just you please extend them a bit from next time? Thanks for the post.